French police nab three men suspected of planning a terror attack. French police on Tuesday arrested three men suspected of planning a terror attack in raids in the Paris area, Marseille and the central city of Clermont-Ferrand, AFP reported. In Clermont-Ferrand, a bomb-disposal operation was called in to sweep the home of a 37-year-old suspect for explosives, a source told the news agency. “The suspects had a plot that was sufficiently advanced for the police to decide to arrest them,” another source said. Earlier this month, French police nabbed four members of an alleged terror cell believed to have been planning a suicide bombing in Paris. On February 3, a 29-year-old Egyptian armed with machetes attacked four soldiers on patrol outside the Louvre museum, crying “Allahu Akbar”. Last November, police foiled a terror attack when they arrested seven men and seized weapons in raids in the cities of Strasbourg and Marseille. Subsequent reports revealed that five of the men who were nabbed were directed from the Islamic State (ISIS) group's heartland. 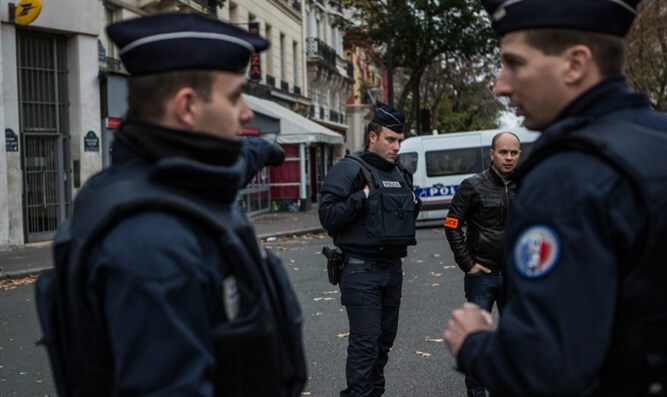 France's state of emergency gives security forces enhanced powers of surveillance and arrest.